Now, for the first time in the U.S. you can legally place a bet on one of the biggest nights in pop culture. New Jersey was the first U.S. state to permit sportsbooks to take bets on the Oscars. The practice is already common in Europe, and gives Americans another option for betting besides casual bets with friends or coworkers that are usually of little or no consequence. Casinos see this new form of gambling as a way to appeal to more bettors to the sportsbook, even with small limited wagers. According to SugarHouse, “Roma” was the favorite to win best picture at the Oscars, which aired February 24. Some casinos were only accepting best picture nominee bets, while other gambling facilities offered more choices for gamblers. These included best actress, best actor, and best director. Some sportsbooks will accept wagers that are six or even seven figures on football and other sports games. However, the betting limits for the Oscars are significantly smaller. Some of the bets set the limit to $500 per bet. New Jersey sportsbooks started opening last spring, when the Supreme Court made a decision in May 2018 to eliminate the federal ban on sports betting. The court’s ruling ended Nevada’s monopoly on sports gambling in the United States. Sportsbooks in Nevada never provided Oscars wagers. The state has a history of resisting bets that are placed on non-sporting events, and bans betting on elections. 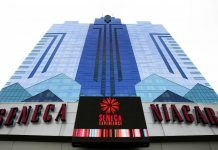 Nevada started to become more lenient with these rules in 2011 by permitting wagers on the World Series of Poker, which were the first bets in Nevada involving something other than a traditional sport. A casino in Nevada asked to offer Oscars betting in 2012, but the request was denied. 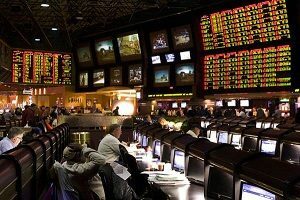 During the last four years, regulators in Nevada have permitted betting for events like the Heisman Trophy for college football and AL and NL MVP for basketball. Bettors can also place their wagers for the Super Bowl MVP. Former chair of the regulatory Nevada Gaming Control Board A.G. Burnett, stated that the choice regulators made to approve wagers on non-sporting events depend on several factors. These factors include how the event is supervised and whether the event’s outcome is verifiable and generated by a reliable and independent process. New Jersey got off to a rocky start. 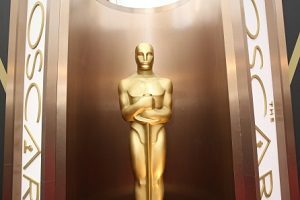 Sportsbooks started offering odds on the Oscars are getting permission from regulators. Later, the sportsbooks were asked to take the bets off their boards temporarily. 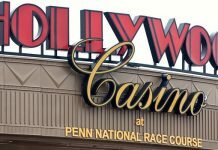 David Rebuck, director of New Jersey’s Division of Gaming Enforcement, stated, “We saw something we wanted to look into a little more closely.” However, he did not provide details into what regulators were reviewing.